Mononeuropathy – Online Medical Course | Start now with Lecturio! He will also provide clinical pearls and mnemonics so you can recognize diseases and develop treatments faster. The Lecturio website provides quizzes to test your knowledge and topic reviews to refresh your knowledge. Learn with Lecturio and impress your classmates with your knowledge and high scores. This article runs through the common presentations, pathophysiology, differential diagnoses and common therapies for mononeuropathies. 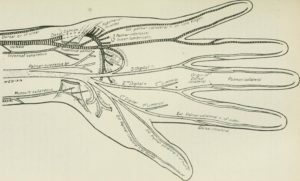 It looks in detail at a number of common nerve injuries, including radial nerve, ulnar nerve, brachial plexus, phrenic nerve, common peroneal nerve and the femoral nerve. It covers common examination findings in order to make an accurate and specific diagnosis.